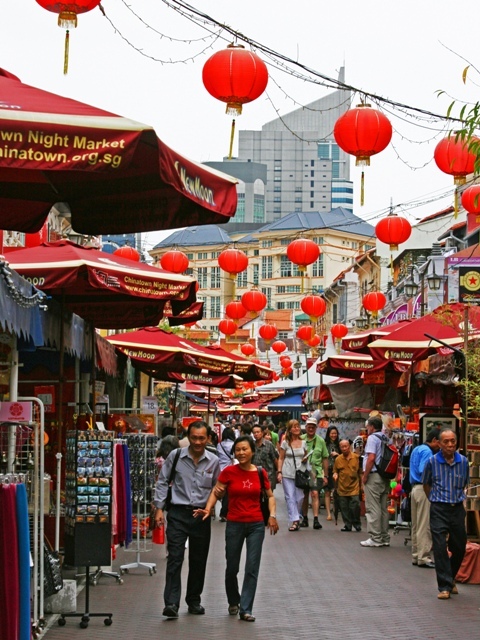 Stroll through fun and energetic Chinatown, hunting for souvenir bargains, enjoying a bustling dim sum lunch, and quietly exploring the many places of worship that epitomize this multicultural city. 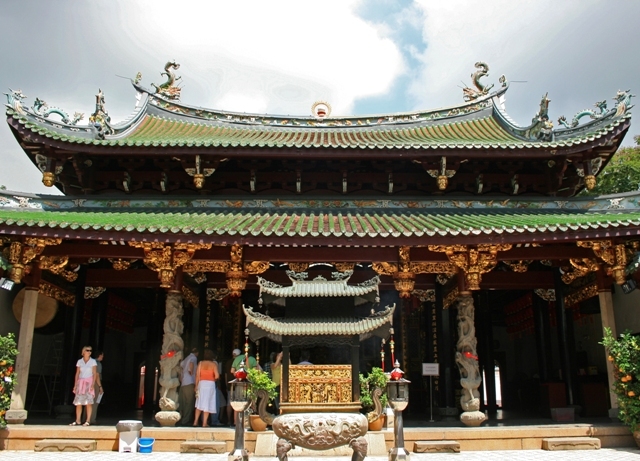 This walk takes you through Singapore’s fun and energetic Chinatown, revealing the area’s ancestral heritage, the vibrancy of the streets, and the tranquility of the temples. 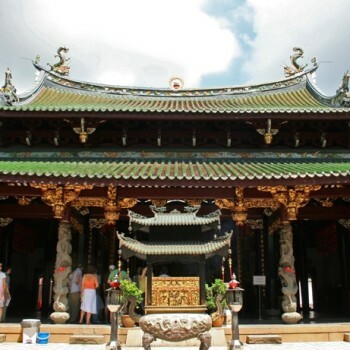 You start the tour hunting for bargains amongst the bustling street stalls, before taking in the many beautiful places of worship that epitomize multicultural Singapore. 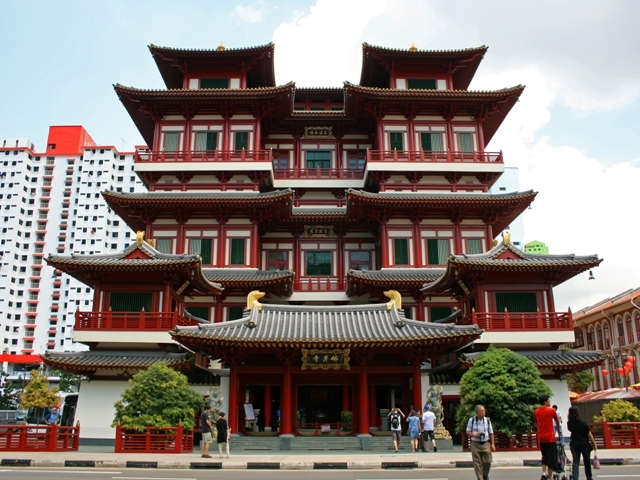 You’ll follow the life teachings of Buddha at the stunning Buddha Tooth Relic Temple, before heading into a traditional wet market to join the locals bargaining for fresh produce. Along the way, you’ll learn about the history of the area’s early residents, the culture of the current residents, and find time to try out the local cuisine, as well. People tell us all the time that our tours make travel easier and much more interesting. 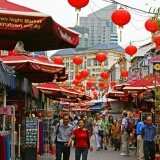 So download this Singapore Chinatown guided sightseeing tour to your mobile device and come walk with us through one of the most intriguing areas of this unique Asian metropolis. The MRT (subway) in Singapore is excellent - safe, efficient, cheap, clean and air-conditioned - and is the best way to get to all major parts of the city. Taxis are also cheap and plentiful if you avoid rush hour, when various surcharges can almost double the fare. Singapore is hot and humid and the weather can change quickly. Don't leave your hotel without your sun cream and umbrella, and remember to keep well hydrated. When visiting places of worship, remember to dress considerately - no shorts or sleeveless tops, and you may also need to remove your shoes. Also respect worshiper's privacy and only take photographs with permission. 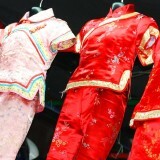 Chinatown is one of the best places in Singapore to shop for souvenirs. 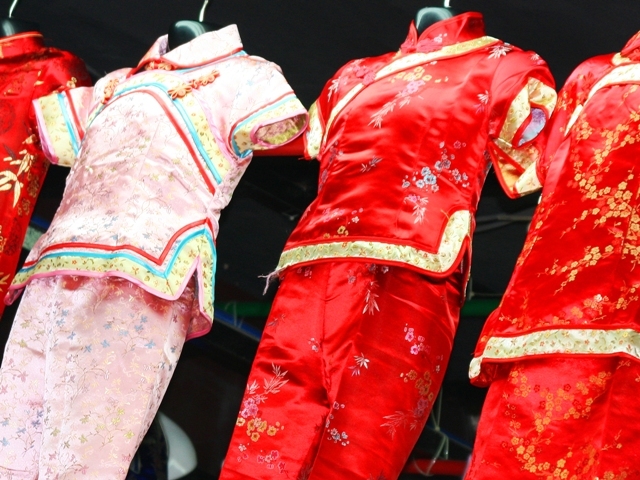 Search the market stalls for silk cushion covers and clothing, or explore the shops for lacquerware, antiques, and ornamental furniture. For an authentic Singapore experience, head to a Hawker Centre, the city's version of 'street food.' Several stalls are housed under one roof with each specializing in a particular cuisine, so take your pick from noodle soups, satays, curries, seafood, and exotic desserts for as little as $3 a dish. Marianne is a Singapore-based freelance writer, and is the author of the guidebook "In Singapore: 60 Fabulous Adventures in the City." Since moving here, Marianne has enthusiastically embraced two local obsessions ' eating out and blogging ' and you can follow her culinary escapades around the city, and the rest of Asia, on her food blog. For more information, please visit her website. SKU: MR070273. Category: Singapore. 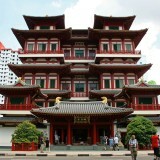 Tags: City/Town, Historical/Heritage, Marianne Rogerson, Singapore.